This Antique Bronze Scroll Necklace is so chic, and so unique! Imagine its impact on any outfit. 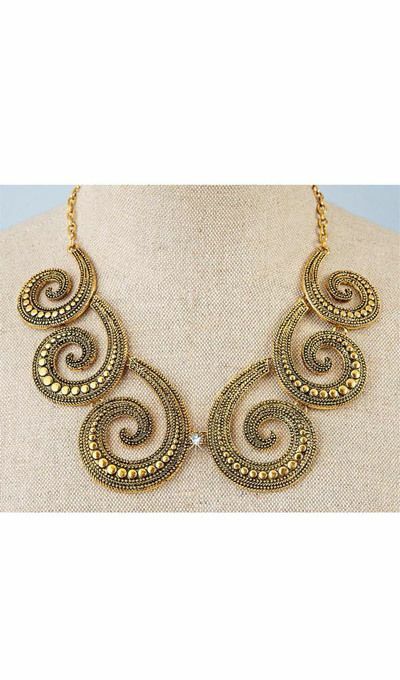 Textured scrolls in antiqued gold-tone metal with sparkling, center rhinestone accent. 22½"l with 2" extender and lobster claw clasp.